Pharma Franchise For Critical Care Medicines – Innovexia Life Sciences is a leading name in the pharma industry for Pharma Franchise Business. The company offers the comprehensive range of formulations covering various dimensions of the healthcare sector. Innovexia Life Sciences provides both general and critical care medicines with the wide range. The Company is providing an amazing business opportunity to the pharma professionals by offering its Pharma Franchise for Critical Care Medicines/ products/ Drugs & Range. Innovexia Life Sciences has a strong presence in each zone of the country. Here, Innovexia Life Sciences is proving the best business opportunity to the pharma professional all over the country by providing its Pharma Franchise for Critical Care medicines/ products/ drugs & range. Associate with the top PCD pharma franchise company and get latest and advanced products which are greatly in demand. Innovexia Life Sciences is an ISO 9001:2008 certified pharma franchise company. Our all products are manufactured in the WHO certified unit with the best quality unit. Associate with us and get the chance to be your boss. Innovexia is based in Chandigarh, we have been working in the pharma industry from a quite a time now. The company has state-of-art manufacturing unit which allows us to provide our associates with international standard drugs with the wide option to choose from. We have the team of best people working with us who are experienced and qualified in their work. Innovexia Life Sciences has made a goo brand value in the pharma industry. We have won the trust of many doctors and health care professionals all across the country. Innovexia has a stringent quality policy which is supported well by its fully integrated infrastructure and manufacturing procedure. We use the best quality chemicals and raw material for the manufacturing of our formulations. Our well trained and experienced staff ensure that the quality of our products does not get affected by any mean. The Company is committed to providing its associates with the best quality molecules at the best price. The quality control system at Innovexia ensures that only best quality products reach to the customers. Why choose Innovexia Life Science for Critical care medicines’ Franchise? We will keep you updated with all the latest launches in the pharma industry. 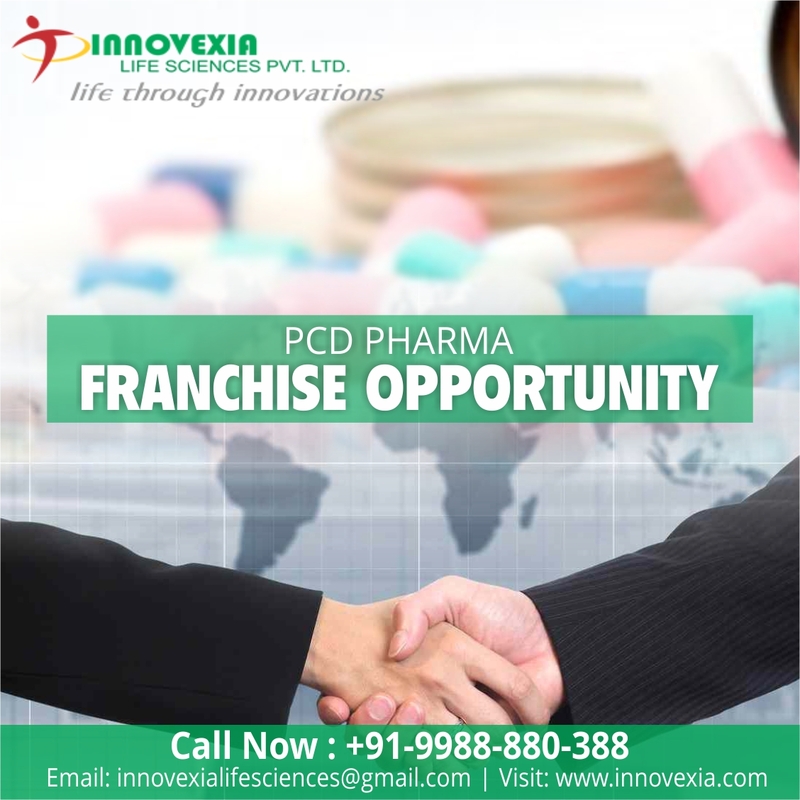 Innovexia Life Sciences is offering its PCD Pharma Franchise in all vacant places. Get the best monopoly rights from our end and start a successful business in the pharmaceutical sector. The Company will also provide assistance and support to establish your business in this competitive sector. Deal with the high-quality compositions to have good connections with the doctors and healthcare professionals.